A great way to celebrate an anniversary is to send beautiful, high quality flowers from Flowers Aberdeen to your loved one. 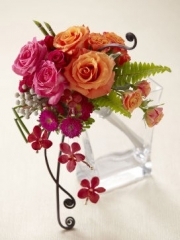 Our collection of Anniversary flowers come in many styles and sizes, some are simple, while some are big and luxurious. We have bouquets of red romantic flowers, and bouquets of bright, cheerful flowers. Our collection of Florists Aberdeen Anniversary Flowers has something for everyone and will make a fantastic present four your loved one. Our flowers are great for sending to loved ones, but sometimes more than just flowers are needed, if the occasion is extra special, such as a significant anniversary, the flowers alone from Flower Delivery Aberdeen are simply not enough. That’s why we have a selection of small gifts that can be sent along with your flowers so that you can really treat your recipient. We have adorable teddy bears, delicious chocolates, balloons for all occasions and even a selection of wines and champagnes. We at Flowers Aberdeen work hard to make sure that we really have something for everyone. You will never be disappointed by flowers from Florists Aberdeen. We at Flower Delivery Aberdeen strive to provide you with the highest quality bouquets and arrangements possible, we know the importance of every single flower in a bouquet looking absolutely perfect, that’s why we only ever use the highest quality flowers available to florists. We use flowers from the beautiful country of Holland. Holland is a stunning country and it is made so by its beautiful flowers. By using flowers from Holland in our bouquet and arrangements we make sure that all our bouquets are of the highest quality possible. 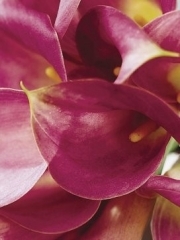 As well as the quality of our flowers we also make sure that they are as fresh as possible. We at Flower Delivery Aberdeen know that there is nothing worse than having beautiful flowers die after only a few short days because they weren’t sent out as fresh as possible. That’s why all our flowers are sent directly to our Flower Aberdeen shop, so that we know that they are fresh and recently cut. What’s more we receive the flower several times a week so that we always have a supply of fresh flowers in our Florists Aberdeen shop. 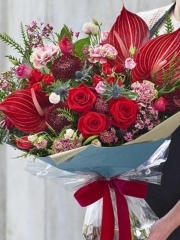 We at Flower Delivery Aberdeen know how busy and hectic life can be, and that it can be hard to find the time to do the things we want to do, That’s why we have our fantastic delivery service in place. With our Flowers Aberdeen delivery service you don’t need to worry about delivering flowers to your loved ones as we will be sort out everything for you. 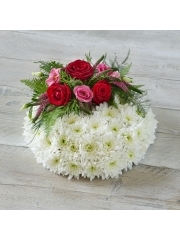 Our Florists Aberdeen delivery drivers are well aware of how delicate and easily damaged flowers are so they are always careful when delivering your flowers to your recipient so that the flowers arrive in the same perfect condition that they were in when they were arranged in our Flower Delivery Aberdeen shop. Our delivery service is second to none, and what’s makes it so is that we offer same day delivery o almost all our products. 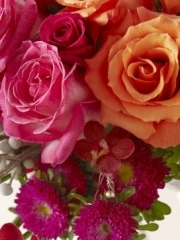 When you order flowers with Flower Aberdeen you can request same day delivery. It’s a great service for those last minute occasions which may have slipped your mind! If you have any comments or questions then feel free to contact Flowers Aberdeen by phone or email or by coming into our Florists Aberdeen shop!